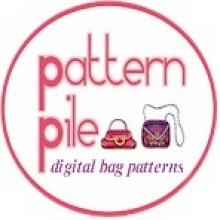 PatternPile.com - showcasing digital sewing patterns by indie designers. The sewing, crochet, and knitting patterns I showcase have been chosen based on a variety of different criteria such as aesthetics, availability, trends, etc. PatternPile.com does not guarantee that the patterns are 100% usable. Most of the patterns have been developed by hard working people who have a knack for patterning, and a ton of creativity. Most of the patterns are available in PDF format, please see more info about PDF files here. Patterns are available free of charge as well as for fee. I hope you enjoy the patterns just as much as I enjoy showcasing them. Your feedback is valuable and I encourage you to comment on how well the pattern worked out for you (or not).